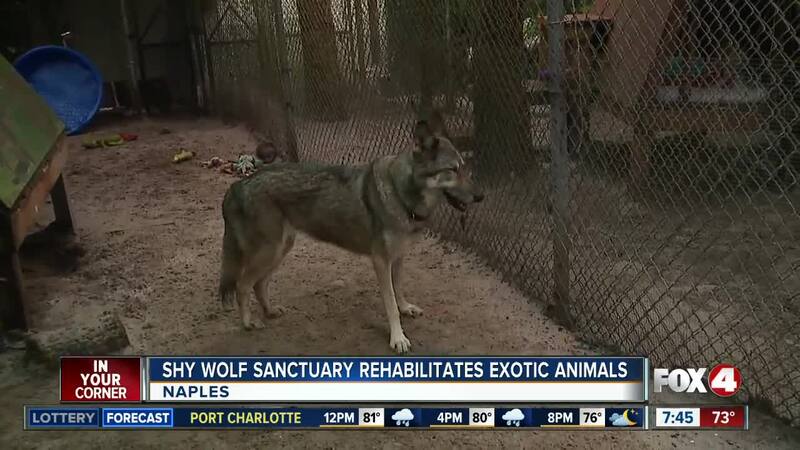 Shy Wolf Sanctuary , Education and Experience Center in Naples is home to over 60 exotic, wild animals being rehabilitated after some were rescued from abusive homes or abandonment. This non-profit provides a permanent home to wild and captive bred wolves and other exotic animals. Staff and volunteers work year-round to educate the public on the importance of protecting wildlife. The animals are housed on a 2.5 acre property in Naples. Reservations are required for a guided tour at the sanctuary. Children must be at least 7-years-old to take a tour and guests under 18 must have an adult with them. There is no entrance fee, but the non-profit is always accepting donations. For more guidelines or to book a tour, click here . The Shy Wolf Sanctuary is always looking for volunteers. Find more information, here . For any additional information, you can call 855-SHY-WOLF (749-9653).